Why choose to buy from First2savvv? Quality is essential for gaining our customers' trust in the long term. It is in our genes. Our products all meet strict and intangible requirements in terms of quality and safety. We must reaffirm our quality culture continually, making sure we are the best we can be. Offering our customers products at a fair price is essential to First2savvv. Our pricing policy is based on low prices every day, with more targeted promotions to restore our customers' purchasing power. Every day, we work to make sure that they get the best prices, without compromising on quality. First2savvv is the only one confident enough in its build quality to back every single one of its products with an industry-leading, full manufacturer's 2 year warranty. Our Return Policy: It's really simple. If you are not happy with something you bought, we'll take it back as long as it is within 60 days of when you got it. If you opened it or damaged the packaging, we'll still take it back and we'll give you a full refund. What is more, we'll of course pay for return shipping. 1) Wrap up your unwanted product. 2) Contact us from amazon and we'll email you a prepaid return label. 3) Follow the simple instructions. 4) you get your full payment back via amazon. ""No Questions Asked"" means that you do not have to give a reason to return your order for a full refund. 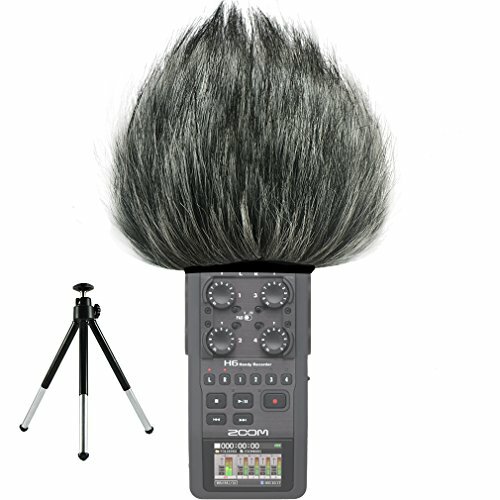 It is design for wind noise reduction when recording in outdoor or adverse environmental. Made of artificial fur, elastic enclose, flexible and adjustable. If you have any questions about this product by first2savvv, contact us by completing and submitting the form below. If you are looking for a specif part number, please include it with your message.